AMI Residential/Light Commercial RO Systems - AA Series | Applied Membranes Inc. 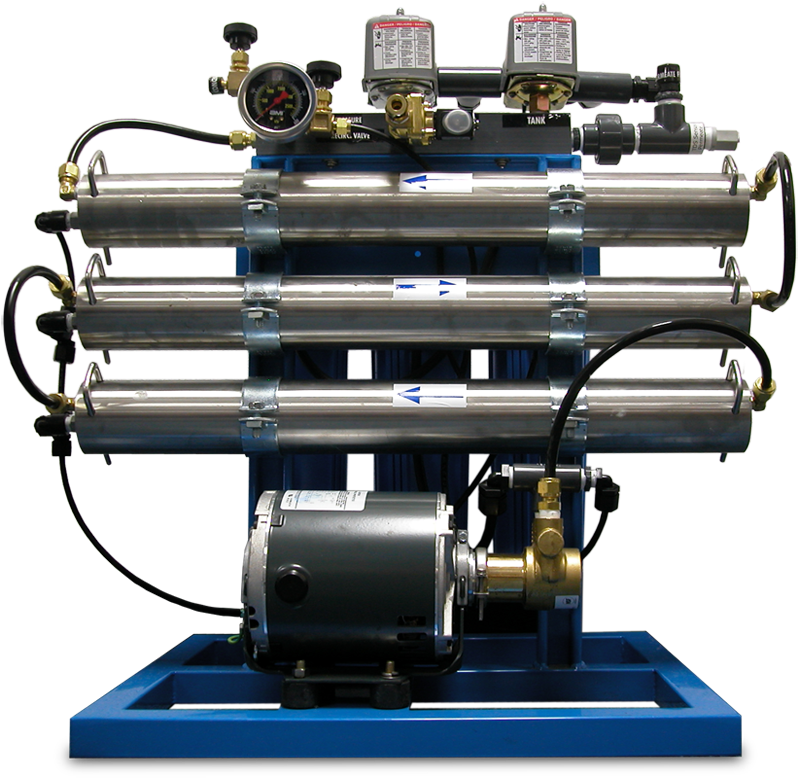 Designed to produce low dissolved solids water from tap or well water, AMI AA Series Residential to Light Commercial RO systems use high efficiency reverse osmosis membranes. 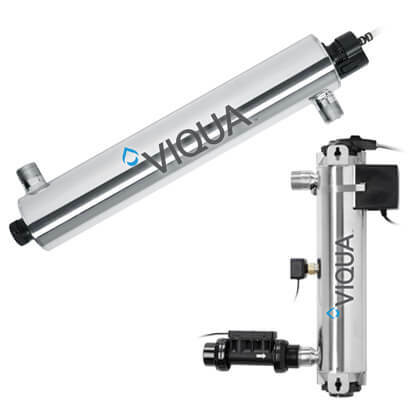 The economically priced Series AA Reverse Osmosis Systems offer a compact design and are simple to install and operate. The RO product water is used in applications such as restaurants, aquariums, small manufacturing, and a wide variety of other applications. 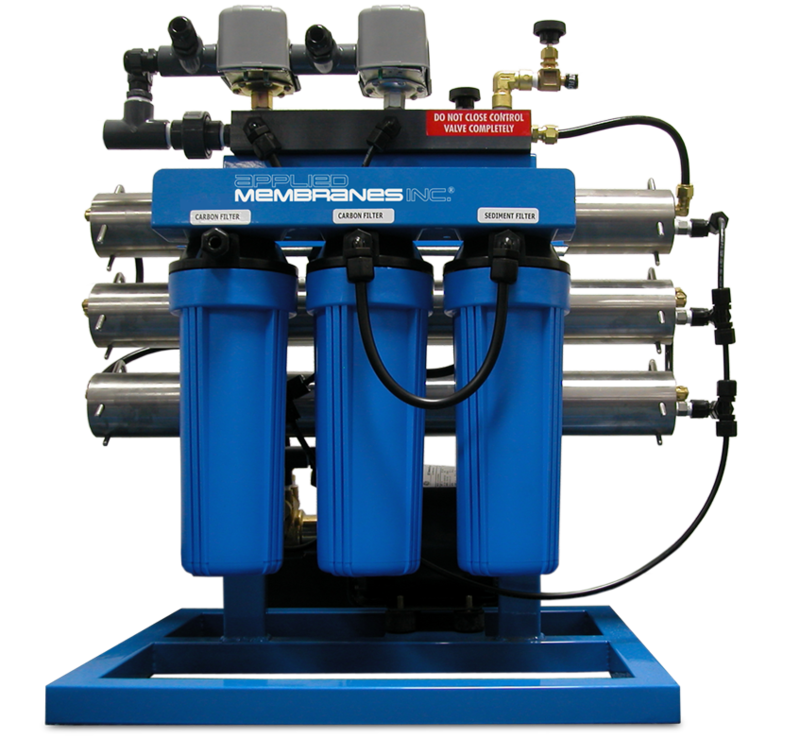 When combined with a softener as pretreatment, they offer a reliable water purification solution. For Feed Water TDS up to 1000 PPM. System must operate with a pressurized storage tank to turn system on/off (quoted separately). Systems rated at 77°F (25°C) using 1000 ppm sodium chloride solution and 200 psi pressure. System capacity changes significantly with water temperature. For higher TDS, a water analysis must be supplied and could result in modifications to the system. 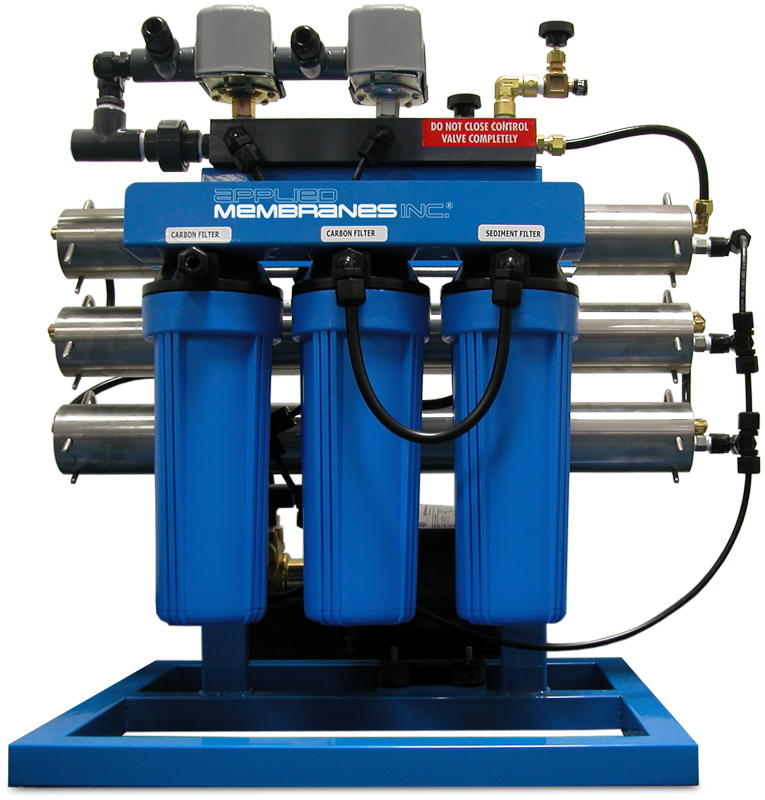 Water must be pretreated by a softener or antiscalant to avoid scaling the membranes. Standard packaging is boxed, crating optional. Please add our voltage codes to the end of the RO system model number when ordering. Example: AA-12521-116 = 110v, 1 ph, 60 hz. Please note that optional equipment will increase system dimensions and/or weight.